(CBS) - Pets are great for so many things. Not the least of which is marking the passage of time. Everyone gets older, but nowhere is it more evident than in the first year of a puppy's life. 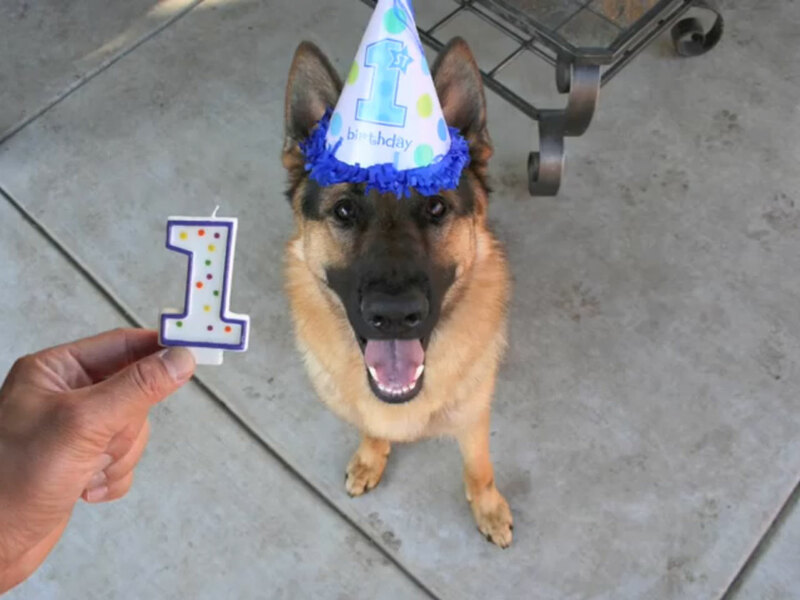 Watch as this adorable German Shepherd goes from pup to adult in less than a minute. Another way to look at it is "nowhere is it more evident than in time lapse video." But when time lapse and puppies are combined? Well, then you get an adorable video like this one. This pooch's name is Dunder, and I think we can all agree on wishing him a happy birthday. Also, speaking of aging, take a look at the porch Dunder stands on throughout the video. If that pavement could talk, it would tell you what a looong year it's been.